With a worldwide presence, including Paris, London and Austin Texas, Mood Media is a world leading brand for outlet customer experience. 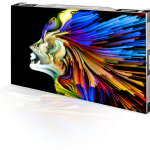 Their expertise stretches from AV content display to interactivity and from sensory experiences to music. 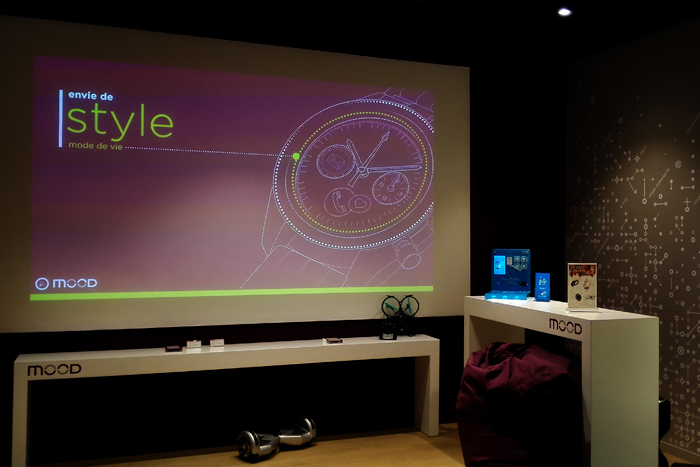 For the opening of the new Générale de téléphone (Orange Group) flagship store, Mood Media has created and installed a full complement of AV equipment. Situated on the outskirts of Paris (94), in the Créteil Soleil shopping centre, the new 130sqm Mood flagship boutique gathers many connected objects, audio devices and smartphone accessories. “Because of its positioning and the very nature of the products on the shelves, the Mood shop is at the heart of new technologies,” explains Olivier Inglebert, product marketing director at Générale de téléphone. “All items sold in this shop are linked to new technologies. Our goal as a company is to democratise their usage”. 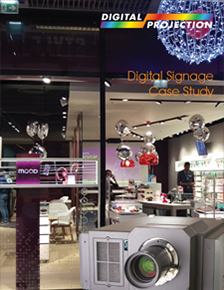 As an early adopter of technological innovations, the shop was keen to get equipped with a state of the art visual solution. They called in Mood Media, who quickly recommended the installation of a Digital Projection E-Vision 8500 laser phosphor projector. “The aim of this project was to surprise people, and this partnership with Mood Media allowed us to create a unique concept based on client experience, using a clever combination of commerce and technology”, adds Inglebert. 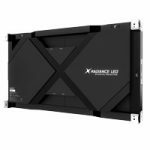 The 3x3 flat panel video wall that Mood Media originally considered was not only outside of the budget set, but also didn’t hit the mark aesthetically because of the bezels. Digital Projection’s E-Vision laser quickly proved to be the perfect answer to the client’s needs, providing a 60% cost saving compared with the flat screens option. "Thanks to Digital Projection laser technology, any given shop has now the opportunity to display great images over four years time with the minimum of human intervention. For us, this is a fantastic proposition!" enthused Julien Minier. 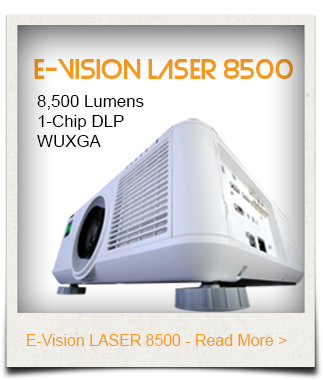 Launched at the beginning of 2016, the 1-Chip DLP E-Vision 8500 model boasts a WUXGA (1900 x 1200) resolution and embeds a solid state laser source capable of delivering 8,500 lumens for a 4000:1 contrast. “To the best of my knowledge, Digital Projection was the first company in the industry to offer full laser solutions to the market. We have been working with them for three years now. For this new outlet, we needed a projector that was capable of withstanding a long life cycle while delivering enough brightness to be able to cope with the ambient light in the shop”, insists Minier. The outlet was determined to offer a true audio visual experience to customers. To achieve this feat, Générale de téléphone also fitted two interactive screens showing detailed presentations of their products. When a customer grabs an item, demo videos automatically start on the projection surface thanks to an integrated RFID chip. As an innovation leader, particularly when it comes to finding new content, Mood is currently finalising a video library which will allow salesmen to project product video demos on 46’’ screens based on the choices that customers made. Those videos can be directly managed via tablet or smartphone. As far as content distribution is concerned, the E-Vision 8500 laser projector is linked to a player in sync with a cloud based server. The projector was installed in the shop ceiling and fitted with a short throw lens. In order to maximise energy savings, the E-Vision 8500 projector follows the shop opening hours and automatically lights up and switches off thanks to a player software. Since its installation at the beginning of 2016, the projector didn’t require any technical intervention, opening exciting perspectives for the retailing sector.